Clay senior Hannah Oliver allowed just one hit in her four innings of work Thursday evening against South Webster. South Webster’s Rylee McGraw delivers a pitch in the Jeeps home loss to Clay Thursday evening. Clay senior Shaelyn Vassar (#2) hit her first career home run Thursday night against South Webster. The South Webster Jeeps, winners of their previous five games, were red hot coming into Thursday night’s home game with county foe Clay, one of the best teams in Division IV in Southern Ohio. 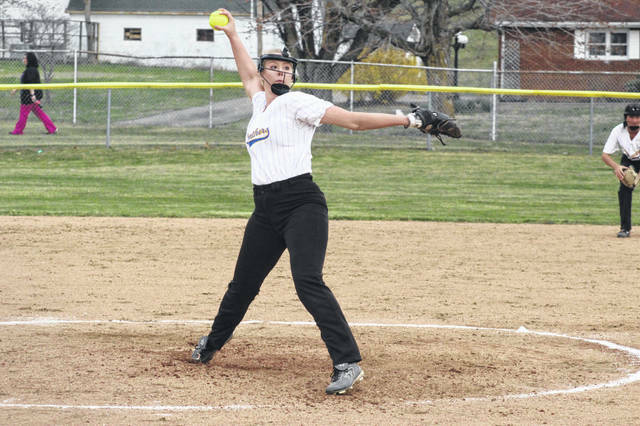 When the bats came alive for the Panthers and with ace pitcher Hannah Oliver on the mound, there would be little the Jeeps could do to combat Clay’s strengths in their loss Thursday night at the hands of the Panthers. Oliver would get the Panthers scoring going in the top of the first by driving in two runners on a double. With Shaelyn Vassar at the plate and Oliver’s pinch runner standing on second, the senior shortstop did what maybe no one was expecting: she went long for her first career home run, a two run shot to give the Panthers the early 4-0 lead. South Webster pitcher Rylee McGraw settled in comfortably for the second and third innings after Clay’s four run first inning. It would take until the top of the fourth that the Panthers would make their largest push of the game. In the top of the fourth, Clay managed to score eleven runs by excellent baserunning, timely hitting, and another extra base hit by Vassar, this time a triple which drove in three runners. The eleven runs scored in the top of the fourth is the third most scored in a single half inning this season from Scioto County’s teams. 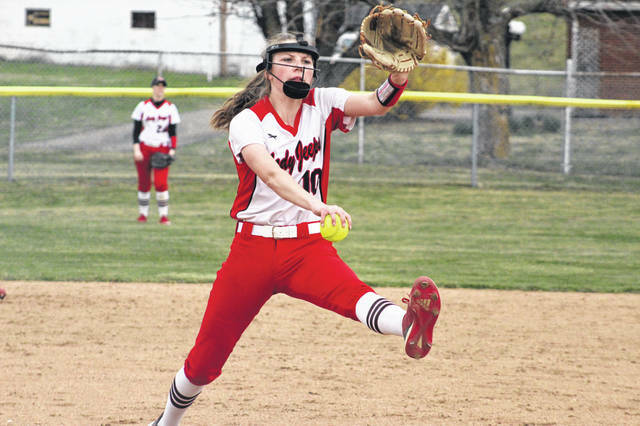 South Webster’s lone hit Thursday came in the bottom of the fourth when junior Baylee Cox broke up Oliver’s no hitter with a single to left field. Gearhart would pull Oliver from Thursday’s game after the fourth inning to bring in Preslee Lutz for the fifth and final inning. Oliver finished with 4.0 IP, one hit allowed and five strikeouts. From the plate, Vassar finished 3/4 just a single short of the cycle to go along with her five RBI. Clay will prepare to face the East Tartans on Friday and Monday while the Jeeps will prepare for their two game series with SOC II rival Valley on Friday and Monday with a double header against the Huntington Huntsmen in between on Saturday. Early and often, Clay got runs on the board and shut down East’s lineup to the tune of a 12-0 SOC I home win. In the victory, Clay send three different pitchers to the mound: Clay Cottle, Dakota Dodds, and Shaden Malone. All three combined to throw 5.0 IP while allowing just two hits and striking out eight Tartan batters. From the plate, nine different Panthers finished with a single RBI with Evan Woods and Shaden Malone having the best hitting games, each going 2/2 in their two ABs. Clay will take the weekend off before travelling to Sciotoville for game two of their season series with East while the Tartans will prepare for their double header with Manchester on Saturday. https://www.portsmouth-dailytimes.com/wp-content/uploads/sites/28/2019/04/web1_IMG_4864-1.jpgClay senior Hannah Oliver allowed just one hit in her four innings of work Thursday evening against South Webster. https://www.portsmouth-dailytimes.com/wp-content/uploads/sites/28/2019/04/web1_IMG_4873-1.jpgSouth Webster’s Rylee McGraw delivers a pitch in the Jeeps home loss to Clay Thursday evening. 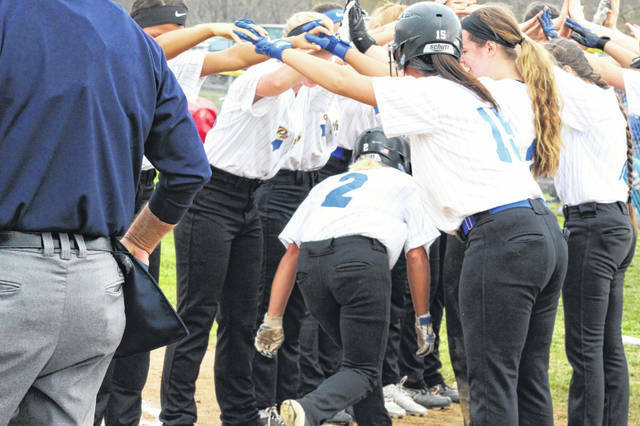 https://www.portsmouth-dailytimes.com/wp-content/uploads/sites/28/2019/04/web1_IMG_4806-1.jpgClay senior Shaelyn Vassar (#2) hit her first career home run Thursday night against South Webster.